1/4" Splicing Tape - Tracer Technologies Inc. 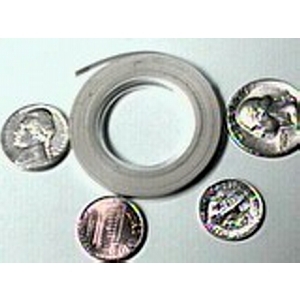 Primarily used for: splicing reel to reel 1/4 inch or 8 track tapes (Coins are shown to illustrate relative size). Splicing tape is specially formulated for magnetic Mylar tape, Guaranteed not to melt or bleed.